Darren and I moved to Charlotte, North Carolina to live in a community that feels like home. We want to be surrounded by friends that eventually feel like family in an environment that celebrates values, traditions, and life. We decided on a community in Hunstersville and our house is in the process of being built. This Christmas will be spent in our apartment and as much as we decorate and try to give it a “home” feeling, it is still lacking. The grandeur of a real Christmas tree freshly cut from a field or stockings hung from a mantel that is illuminated by the fireplace flames is not possible just yet. 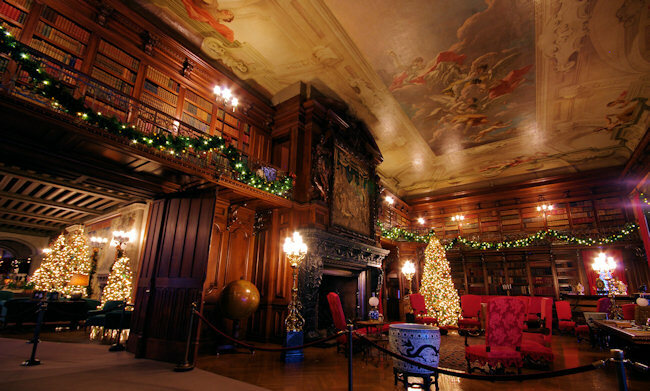 Rather than missing out on the glory of elaborate Christmas decorations this year, we drove to Asheville to experience it all at Biltmore Estate. 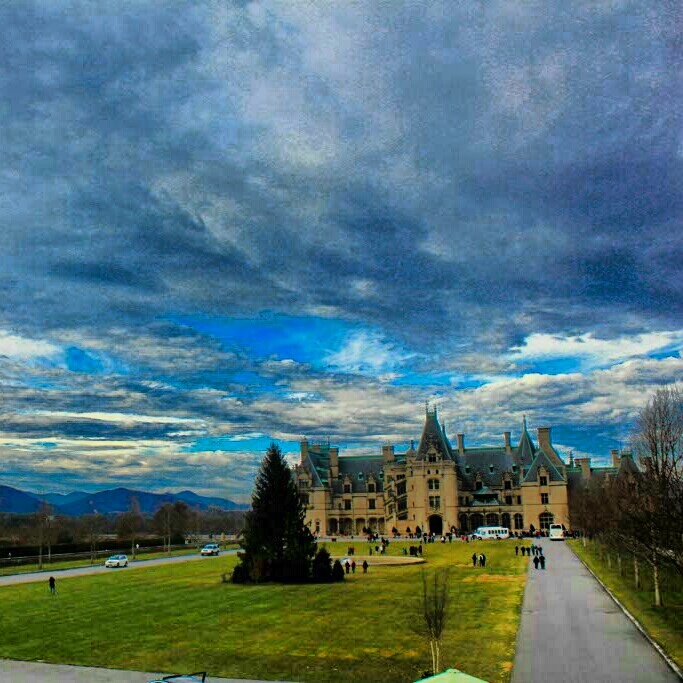 George Vanderbilt’s extraordinary home, beautiful gardens, and Antler Hill Village & Winery are nestled on 8,000 acres in the mountains of Asheville, NC. In America’s largest home, we were able to witness a 35-foot Christmas tree and miles of festive decor that filled us with holiday cheer. The most inspirational rooms include the Banquet Hall and the Library. With a seven-story high ceiling and Flemish tapestries from the mid-1500s, the Banquet Hall is an impressive room. It was the scene of dinner parties and celebrations, like the annual Christmas party for Biltmore workers and their families. The table setting gave us an idea of these elegant affairs, with fine linens, family silver, china, and as many as five crystal wine glasses per person. Ringing throughout the room was the sound of the organ playing Christmas music. Its impressive stature includes over 700 pipes grouped into 15 “ranks” or colors of sounds. Biltmore House’s yuletide piece de resistance is a 34-foot Fraser fir adorned with hundreds of lights and ornaments and surrounded by gifts. Although the Library Christmas tree was less impressive and the decorations didn’t fill every corner of the room, the real inspiration came from the best gift of all – books, shelves and shelves of books. It was my version of a Christmas miracle. I was standing in a two-story room surrounded by pages and pages of history, romance, fiction, biography… an endless amount of knowledge and culture at my finger tips. Oh the beauty; colors of red, blue, green, and yellow all with crisp pages and leather bindings. They were the best decorations of all. Outside was equally beautiful. Even in the daylight with the unlit tree, the towering mansion reached into the sky and blended the lines between fantasy and reality. Our home isn’t built and we don’t have room for a massive tree or tons of Christmas decorations, but as we toured the grounds at Biltmore none of that mattered to Athena. She was happy, smiling her beautiful smile and enjoying the time spent with her Mommy and Daddy. 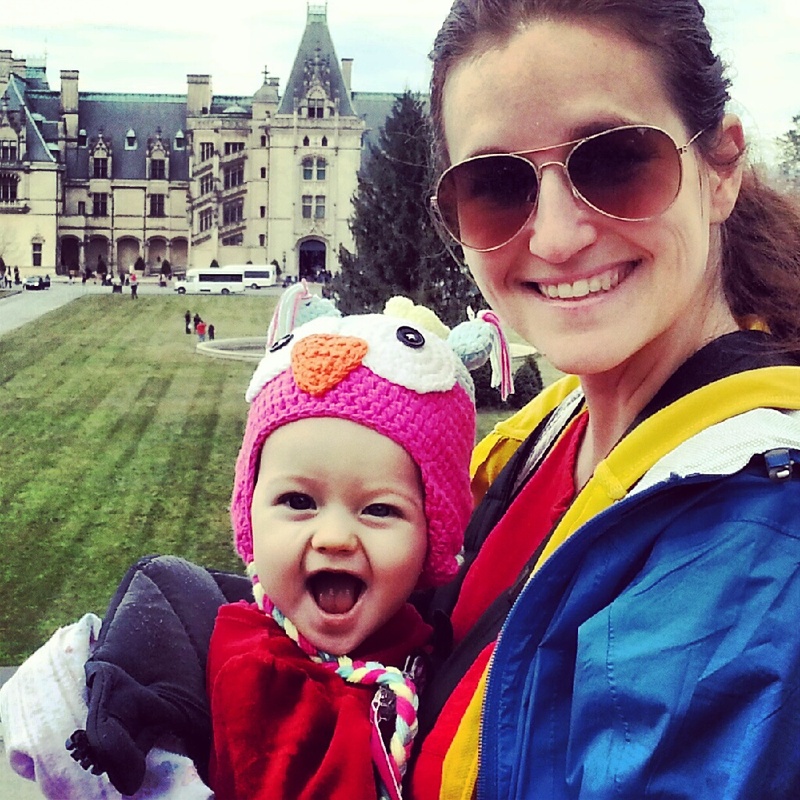 Being surrounded by the Christmas spirit at Biltmore brought out the spark in us and that was transferred to Athena. Our holidays are filled with happiness and joy regardless of the size of our tree. Thanks for bringing out the holiday cheer Biltmore! Now all we need is a little bit of snow. Well, on second thought, maybe we’ll just watch a movie with snow since we don’t even own a shovel. You’re such a beautiful family. Wonderful post.